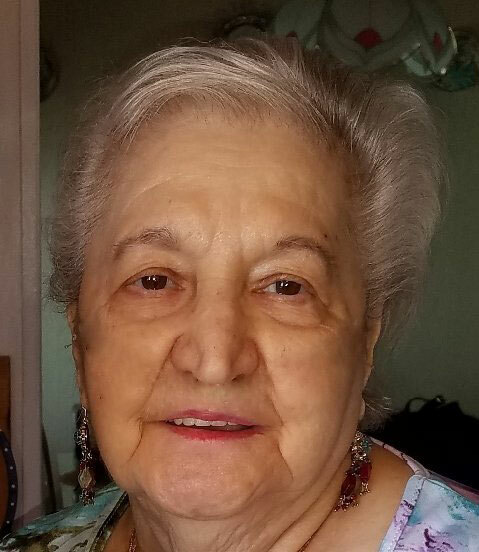 Carmella “Millie” Rutilio (nee Balasone) died after a long battle with COPD and Pulmonary Fibrosis on June 13, 2016 in Las Vegas, NV at the age of 84. She was born on July 16, 1931 in Pittsburgh, PA to James P. Balasone and Angeline Rose Di Pasquali. She is survived by her Daughters, Donna Williams and Karen Zimmerman of Pittsburgh, PA, Step-Daughter Maria Rutilio (Sultan “Sam” Murad) of Las Vegas, NV and her Brother, David Hull (Eve Stork) of Las Vegas, NV. She had 4 Grandchildren, 5 Great-Grandchildren and 1 Great-Great Grandson. She was preceded in death by her Mother, Angeline Rose (Di Pasquali) Stewart; her Husbands, Sam Perry, Peter Cole and Antonio “Jack” Rutilio, in addition to her Brother, John Hull. A memorial service is scheduled for Tuesday, July 5, 2016 at 12:40 pm at the Southern Nevada Veterans Memorial Cemetery in Boulder City, NV. Father Thomas Montelaro will officiate. All are welcome to attend and celebrate Millie’s life. Donations may be made to the American Lung Association or St. Jude’s Hospital in her memory.